When you have an event outdoors, you know it will be critical that you capture the attention of people passing by. 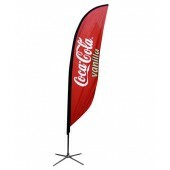 Thanks to their unique shape and color, outdoor feather flags are going to be a great choice. As they ripple in the wind, they will capture the attention of drivers on the road and they can bring in more foot traffic for your store or even your event. In the case of an outdoor even where you have a booth of your own, these outdoor feather flags are going to spark the curiosity and interest of those in the area. When you have Numart Display add your logo or message to the side of them, you will find that there is an even bigger impact and that can translate to additional sales for you. Each of these banners comes in different colors and sizes that will allow you to ensure that they are going to best suit your needs. After all, the last thing you will want to do is to send mixed messages that confuse the consumer and have them ultimately avoid your booth of event. Part of this comes with understanding what the different colors invoke in advertising. There are some easy to spot ones. For example, if a flag is pink there is a good chance there is advertising directed at women. Blue in turn will be used gender neutral and will be used to involve calmness and spark interest. Black will showcase that a booth or event may be exclusive, while white will suggest purity and can be used to promote modern and artistic ideas. 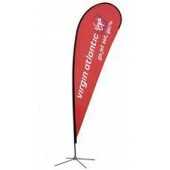 Keep in mind that when you are exploring the options you have for these outdoor feather flags, you need to know the size that will work in a space, including any restrictions that may be there. Some locations will only allow you to have your outdoor advertising up to certain heights and you will need to ensure that the options you have chosen will actually work within those size limitations. Accessories will also be incredibly important for these items. You'll want to have a frame and stand for them to ensure that they are being properly displayed, while a carry bag can make cleanup easier and ensure that you have a place to store the banner flag while you are on the go. There is no denying that these eye catching banners are going to be perfect in any event that you are going to be using them in. You just need to ensure that you go through the various size, shape and color options for this line and ensure that you are choosing the best design for your event.